I think I first saw Nancy on her program when I was in high school. 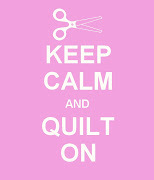 I definitely knew about her before I started quilting and remember some truly MEMORABLE fashions on her show! I started watching Nancy' s Notions with my grandma, who used to babysit me. I loved how easy she made every project look. I still love to watch her show and would love to read her book. Thanks for the giveaway! I never even heard of her until the last year or so. 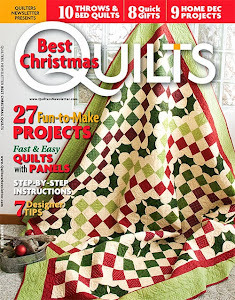 I love the episodes she did on the BQ quilts. BUT do get a little tired of so many of her products but it guess it is her show and she can do what she wants. I am going to check out those Disney podcasts. I listen to podcasts while sewing and am always so happy to see yours come up on my Ipod. Keep up the good work. Thanks for posting another episode right when I needed it. I am between audiobooks and in one of those moods where I am not sure what book to get to which to listen. I am sure this will resolve itself soon. In the meantime: podcasts. I heard that you are thinking of an equilateral triangle quilt for your new nephew. If you decide to do that spend the money for the Fons & Porter Pyramid ruler. It is totally worth the money (cheap anyway and very cheap with a coupon) because they have already cut off the tips so putting the piece together is a breeze. I'd love to read the Nancy Zieman book. I first heard about her after I received the Nancy's Notions catalog soon after I subscribed to QNM for the first time. I am not sure I have ever seen her show, though. It isn't on in our area or it is on cable and I don't have cable. Thanks for this episode. I always enjoy your podcasts. I really like your book reviews and plan to check out the podcast recommendations. I cannot remember the first time a came across Nancy Nieman on my local PBS station but it had to be in 2005 because thats when I started sewing. I remember the episode when she did speak about Bell's Palsy. What I like about her is the confidence she exudes! Enjoyed the show, Tanesha! I first say Nancy on her PBS show "Sewing with Nancy" a long time ago! I have always been impressed with her skills and her clear teaching style! As a farm girl raised in Wisconsin who learned sewing through 4-H, I think I'd really identify with Nancy's hard-working, modest upbringing. I first saw Nancy on PBS and appreciate her depth of knowledge and ability to share valuable info in a down-to-earth way. Thanks for being willing to share your copy of the book! Hey Tanesha--Thanks for another great podcast. Always look forward to hearing your news. I really don't remember the first time I saw Sewing with Nancy. Although I have really enjoyed her these last few years, I learned to sew as a child in 4H also, so can relate to all the aspects that she is featuring. I would enjoy reading about her life thank you for your generosity. I watched Nancy for years but got to attend her Weekend event several years ago in Beaver Dam. It was my very first quilting/sewing "event" and was wonderful. I spoke with her several times during the weekend and remember her adorable son running through the warehouse up and down the aisles as people shopped the warehouse. Great classes and shopping. I would love to go back to her event someday - bucket list! Thanks for another great podcast! (although I will have to say that your American Girl episode was my favorite so far) My daughter is now 23 and off on her own, so I enjoy hearing your tales. BTY, we had Molly, and would you believe that AG still sends us a yearly catalog! I first heard of Nancy a few years ago when I saw her catalog at a guild retreat and was amazed by the diversity and the great prices. I first found Nancy when I first came to live in the USA 14 years ago. I find her to be an interesting person, and very strong. I first learned of Nancy from her mail order catalog as unfortunately my TV stations don't carry her show. I've become a fan of hers and subscribe to her YouTube channel. I find her to be a clear, practical instructor. I'd love to read about her life story and the challenges she has overcome.